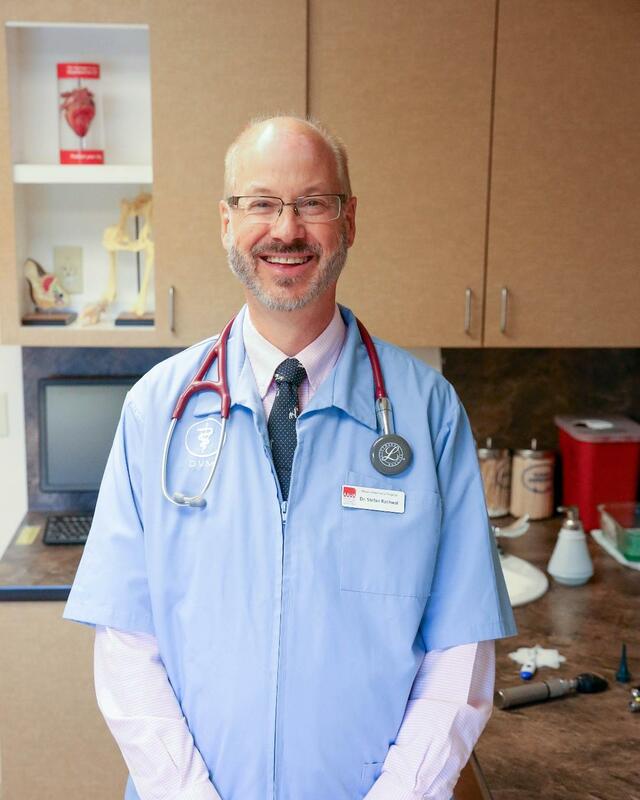 Dr. Stefan Rachwal grew up in Lakewood and came to us as a student at Wheat Ridge High School as a kennel helper in 1974. We welcomed him as a veterinarian when he graduated from CSU's College of Veterinary Medicine in 1984, and he became an owner of Mesa Veterinary Hospital just a few years later. He has been recognized by the Colorado Academy of Veterinary Practice, which means he completes more than 50 hours of continuing education each year. Dr. Rachwal has been an active member of the Human-Animal Bond Trust and the Pet Loss Support Group for 25 years. He has also held elected positions for the Denver Area Veterinary Medical Society and the Colorado Veterinary Medical Association for over 34 years. He likes to travel and enjoys hiking and biking in the Colorado outdoors. Dr. Rachwal also enjoys getting creative in the kitchen while cooking for family and friends.